If You “Lima, Oscar, Victor, Echo” SEAL Team’s global perspective (that’s “love” in the U.S. military alphabet), then Season 2 delivers. 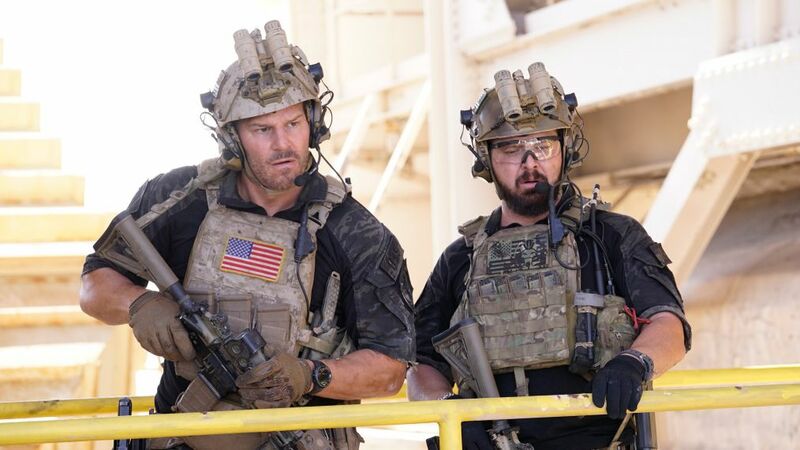 Missions on deck for team leader Jason Hayes (David Boreanaz) and the elite unit include Mexico, Mumbai and Nigeria. “Jason has recovered from last season’s head injury, but the hits just keep coming for him,” says executive producer John Glenn, who gives us the full report. The 'American Horror Story' actor appeared in a recurring role during Season 1. Casualties in the field have been a sad fact of life for the brotherhood, but this season, a loss hits Bravo Team in their own backyard. The death will have ramifications for everyone, but Jason is particularly affected. “It’s devastating and presents him with a huge decision to make about who he is and what his future looks like,” Glenn says. This article also appeared in the Sept 17 - 30 issue of TV Guide Magazine.